Police in Fort Wayne, Indiana say that Ashley Ann-Marie Walton admitted to throwing her infant daughter against the wall because the baby wouldn’t stop crying. 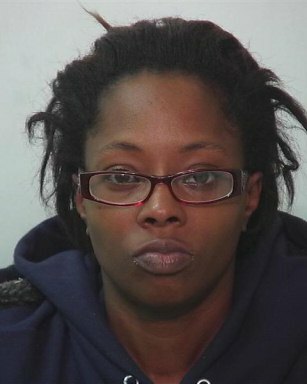 Walton allegedly said that she hadn’t slept in two or three days and couldn’t get the baby to stop crying. Loss of sleep like that can happen when you test positive for cocaine. Not only do police say that Walton was on cocaine at the time of the assault but she attempted to get more cocaine rather than calling for help. The phone showed that five calls had been placed right at 12:05 pm, but none of those calls were to EMS. Walton had also apparently texted a person at 12:26 pm to try and buy prescription pills and powder cocaine. Phone records indicate it wasn’t until 12:40 pm that Walton called EMS for medical help. She’ll be gone long all right. As in years. She also bathed the baby before calling EMS. If the cocaine thing wasn’t enough she also tried the age-old ‘someone dropped the baby’ excuse. The someone she was trying to blame? Her three-year-old daughter. Thankfully from what I understand the baby survived and has been released from the hospital into foster care. But man, if you’re texting somebody about scoring some blow while you’re at the hospital where your child has a fractured skull at your hands you may just have a slight drug problem.